A classic of the French kitchen, soufflés have struggled under the bad reputation of being difficult for far too long. The truth is a soufflé is easy to make and not nearly as sensitive as people often say. Yes, you can open the oven door; no, you don't need to walk on eggshells while making it (though you should try to keep the eggshells out of the soufflé mixture). The secret to its success lies in the ability of beaten egg whites to expand as gases and steam to inflate tiny air bubbles larger and larger. It's just science, and it works. Cream of tartar helps prevent the whites from being accidentally overbeaten. 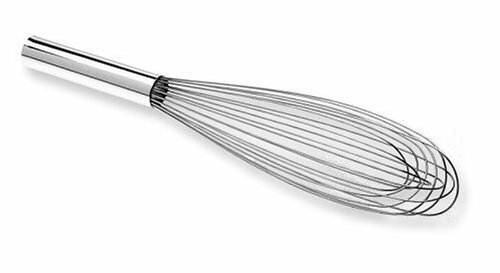 Optionally whisking by hand gives you more control over your results (yes, it takes some elbow grease, but it's not that hard). Greasing the baking dish and dusting it with grated cheese creates a beautifully browned crust all-around. Preheat oven to 400°F (200°C) for a more browned soufflé with a slightly looser center or 375°F (190°C) for a more gently cooked soufflé that sets all the way through. Set oven rack in lowest position. Grease interior of 48-ounce ramekin with softened butter. Add some grated Parmigiano-Reggiano, rotating ramekin all around so cheese sticks to every part of buttered surface; add more cheese if you don't have enough or discard any excess. Wipe rim of soufflé dish and transfer prepared ramekin to the refrigerator until ready to use. In a small saucepan, melt 3 tablespoons butter over medium-high heat (do not allow it to brown). Add flour and whisk to form paste. Continue to cook, stirring, until raw flour scent is gone, about 1 minute. Whisking constantly, add milk in thin, steady stream, or in increments of a couple of tablespoons at a time, whisking thoroughly and getting into all corners of pan to maintain lump-free texture. Sauce will initially become very thick, then get thin once all the milk is added. Heat, stirring, until sauce comes to simmer and begins to thicken slightly. Reduce heat to low and cook, stirring and scraping the sides and bottom of pan, until sauce is nicely thickened, about 3 minutes. Season generously with salt and pepper. Transfer béchamel sauce to large heatproof mixing bowl and allow to cool slightly. Whisk Dijon mustard and/or cayenne/hot sauce (if using) into béchamel. Then, while whisking constantly, work in egg yolks one at a time until thoroughly blended. Set soufflé base aside. 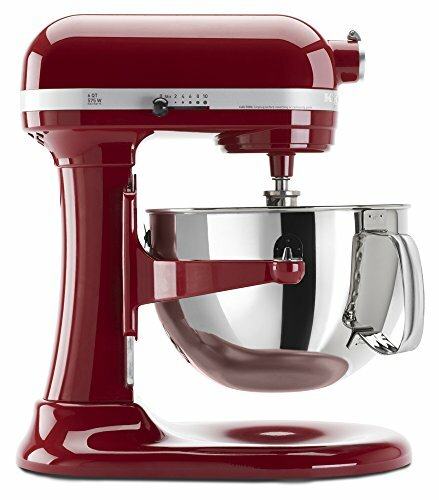 In large mixing bowl, using a French whisk, electric hand blender, or stand mixer fitted with whisk attachment, combine egg whites with cream of tartar (if using) and beat until firm, glossy peaks form. Add 1/3 of beaten egg whites to béchamel base and stir well until whites are thoroughly combined and soufflé base has a looser consistency. Mix in Gruyère and then add remaining beaten whites. Using a silicon spatula, gently fold them into soufflé base just until well combined. Remove soufflé dish from refrigerator and set on rimmed baking sheet. Scrape soufflé batter into prepared baking dish, filling it up to the inner ridge, not to the top (discard any excess). If desired, using an offset or other spatula, gently smooth and level surface of the soufflé batter. Transfer soufflé to oven and bake until well risen and very nicely browned on top, about 30 minutes at 400°F for less set and 35 minute at 400°F for more set, and 35-40 minutes at 375°F for fully set. Immediately transfer soufflé to table and serve before it deflates too much, scooping out portions onto each diner's plate. If desired, you can decrease the flour to 3 tablespoons (28g) for a slightly thinner béchamel sauce and a slightly lighter, but less sturdy, soufflé. Mustard and cayenne pepper/hot sauce add subtle flavor to the soufflé but are not absolutely necessary. Cream of tartar is not required, but it can help prevent accidentally overbeating the egg whites; if you have it, you might as well add it.